SKU: 53-285. Categories: Bumpers, Dock Accessories and Hardware. 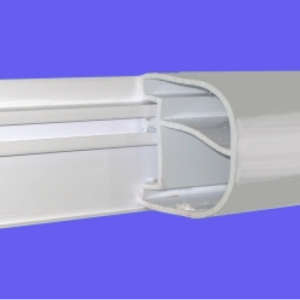 This profile may be mounted horizontally or on vertical dock corners and pilings. The unique desgn also functions as a handy grab rail when docking and is perfect for Bass and Ski boats where the gunwale over hangs the dock and requires top protection. This exceptionally strong Profile is further reinforced by two internal supports.